Disclaimer Notice: All inmates are presumed innocent until proven guilty in a court of law. The booking photographs are in no way an indication of guilt and they are not evidence that an actual crime has been committed. Arrest does not imply guilt, and criminal charges are merely accusations. 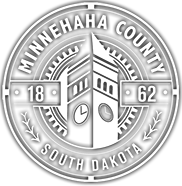 Anyone wishing to request a Minnehaha County inmate photo will complete a release form stating the arrested person’s name and felony arrest charge/date, if known. This form is available online using the link below or there will be printed copies at the front desk of the Sheriff’s Office. Booking Photo requests will be processed at the front desk of the Minnehaha County Sheriff’s Office Monday-Friday, 8:00am – 5:00pm (excluding holidays). If you do not reside in the area, or are unable to provide the form in person to our front desk, please call us at 605-367-4300 for assistance. The requesting party will be required to pay $8.00 cash (no checks) per photo. Anyone wishing to pay by credit card will be assessed an additional processing fee. A booking photo request on a weekend from a felony arrest that occurred during that current weekend, will be processed by the Minnehaha County Jail. Forms are available at the front desk of the jail located at 500 N. Minnesota Ave., Sioux Falls, or call 605-367-4321 for assistance. Every attempt will be made to deliver the weekend/after-hours mug shot within 12 hours of the request being made. Once approved for release and after paying the set fee, the requestor will be provided either a printed color booking photograph, or if desired, a .jpeg file of the photo will be emailed to them. If you have any questions on the release requirements, or the request process for criminal booking photos, please call our office at 605-367-4300.